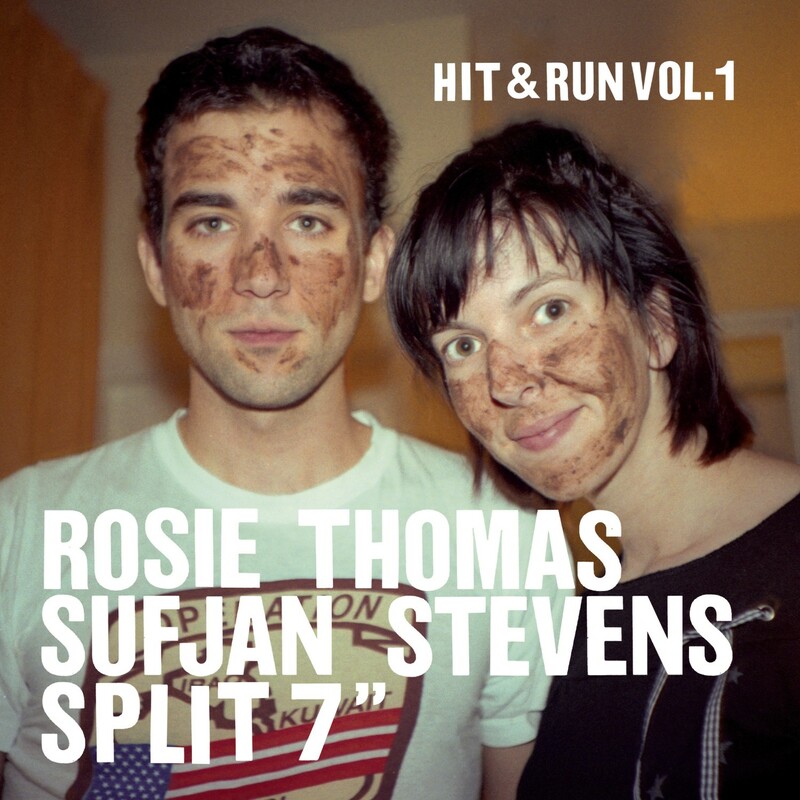 Singer-songwriter Rosie Thomas has paired up with long time friend and collaborator Sufjan Stevens for the first entry in the Hit & Run series of split 7” vinyl collaborations. Hit & Run Vol. 1 consists of Thomas’ “Where Were You?”—a thoroughly re-imagined version of the track “Where Was I” from Thomas’ new full length record With Love (out now on Sing-A-Long Records) recorded, mixed and featuring a performance by Sufjan Stevens— alongside Steven’s “Here I Am!” which in turn features vocals by Thomas.